As time goes by in a relationship or marriage, our individual lives often become intertwined like roots. What is your partner’s dream and what is yours? What is your opinion, and what is theirs? What are their desires, and what are yours? When such a close relationship ends, no wonder it can be painful. It can be challenging to untangle the roots without damaging the individual parts. For a while it can feel like a part of you is missing. And that hurts. The belief that time will heal all wounds is not a new one. The 17th century poet, Jean de la Fontaine, said that “sadness flies away on the wings of time”. 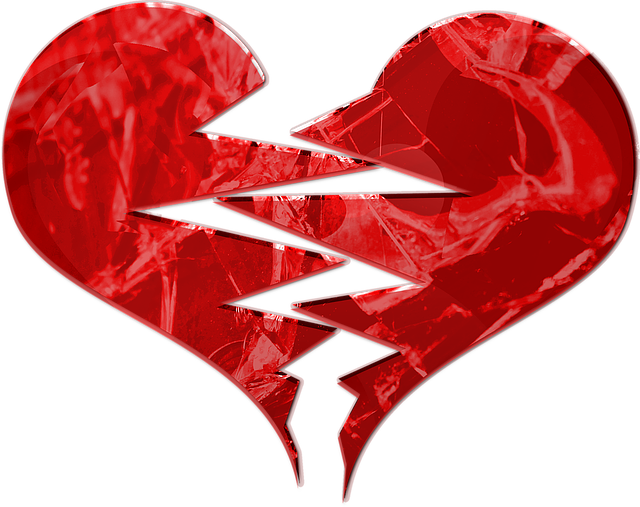 Over 200 years later, Bonnie Tyler sang that “time mends a broken heart”. I am often asked how long it takes for the pain to go away, for the heart to heal. How often have you been advised to “give it time”, or told that time is the great healer? Is this true? Is time all we need? How much time will it take? Will I feel better in one week? One month? One year? Five years? Do I sit back and just wait for the healing to happen? Is time enough to make grief go away? Or do I need to do something? I have worked with people for whom time alone hasn’t been the great healer, who still feel hurt by things that happened months, years or even decades ago, so much so that it affects how they think, feel and behave now. So I don’t believe that time is all it takes. I believe broken hearts need care and attention. Time may dull the immediate pain, but time alone can’t heal the internal scars from a broken heart, which may be there long after the relationship has gone, or the divorce is finalised. To fully heal your broken heart, you need to care for it, tend to it, acknowledge your pain, and ask questions of it and of yourself. It is totally normal to feel strong emotions when you’re going through a separation or divorce. Divorce is a transitional time, full of change and uncertainty, which can be painful and confusing. It’s also normal for your feelings to change on an hourly, daily and weekly basis. How do you deal with your feelings? Do you try to push them aside, hoping they will go away on their own? Do you find yourself looking to blame someone else for your pain, and use anger to push your pain onto them? These strategies may give short term relief, but in the long run they won’t help you to really overcome your pain. Your emotions are your body’s subconscious way of communicating with you, and you need to feel them before you can heal. Only when you acknowledge and really feel an emotion can you start to move through it, and deal with it. Are you allowing yourself to feel your emotions, however uncomfortable? As a first step, try to identify your feelings, and name them. What are you feeling right now? The simple act of putting a label on an emotion can help to reduce its power. Then ask what you can best do to support yourself through this. Do you have a strong network of friends and family to help you? Do you have professional support if you need it? Are you kind and forgiving to yourself? What would your best friend say to you right now? Keeping a journal can really help. Note down how you feel, and whether there are any particular triggers for your feelings. Notice how you react to your feelings, and how they change your mood, and the way you behave. Can you see any patterns that aren’t helping you? How could you change those patterns, and react differently next time? Are you making assumptions about yourself and about your future, based on negative thoughts and feelings? Don’t believe everything you feel and then think. When you go through trauma, many of your feelings and thoughts are reactive, and can be easily based on misunderstanding, or negative emotions. A client told me last week that she feels that she is totally alone, and that she doesn’t believe anyone will ever love her again. I asked her what emotion led those thoughts. After thinking for a minute, she answered that they came from fear. What is it you are afraid of? This time, her answer came faster – she is afraid of being alone, of never finding love again, and that she isn’t good enough. I asked her what her best friend would tell her right now? That she is beautiful and strong and courageous, and worthy of love. She is all of those things, and more, but her fear was stopping her from seeing it, and had led her to make assumptions about her future. What mistaken assumptions are you making? What beliefs would serve you better? How do you tell your story? Do you see yourself as a victim of divorce? Can you tell your story differently, so that it empowers you and makes you feel strong? What have you achieved today, or this week, that you can be proud of? Have you done anything new? I remember the first time I mowed the lawn after my ex left. I had been putting it off for weeks, but finally managed it. I felt really proud! To put this into context, this wasn’t a small patch of grass, but a 100 ft stretch of not-very-well-looked-after grass, on a slope – mowing it was no easy feat! Your attitude is key. Ask yourself whether you want to stay stuck in the pain, or to move through it and come out the other side? What do you need to help you to do that? What resources do you have? I have no doubt that you are more resourceful than you think! I have seen clients discover and access strength and determination that they didn’t know they had. Which is all a long-winded way to say, no, time alone doesn’t always mend a broken heart. Time, combined with self-care and a positive attitude – now that’s a powerful mix.